In the previous post, I wrote about creating ADF account to do the transformations. 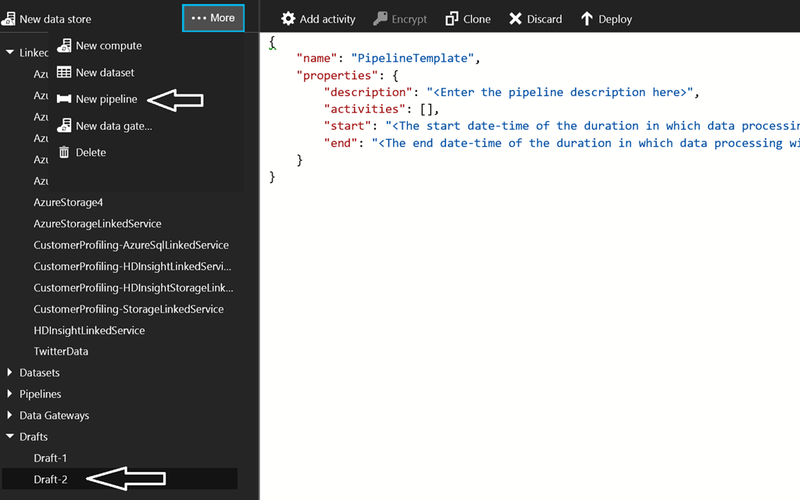 Now, let’s learn about how to create pipelines with ADF. 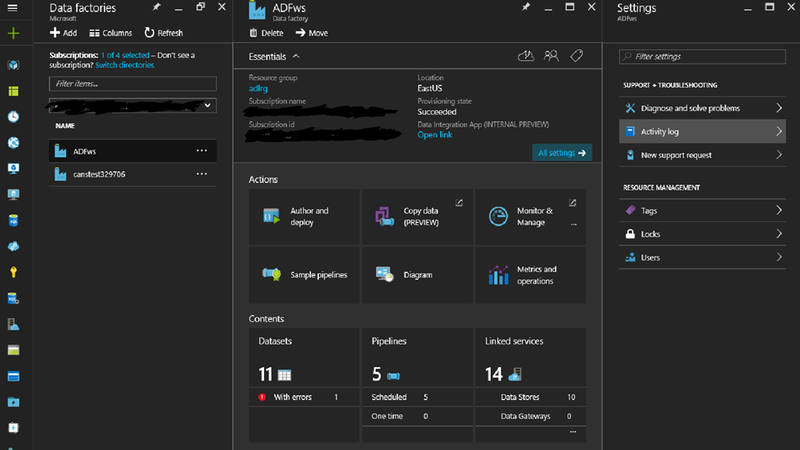 I will explain the functionality of the ADF in this post. Moreover, I will share a link where you can find the demo to create a pipeline. 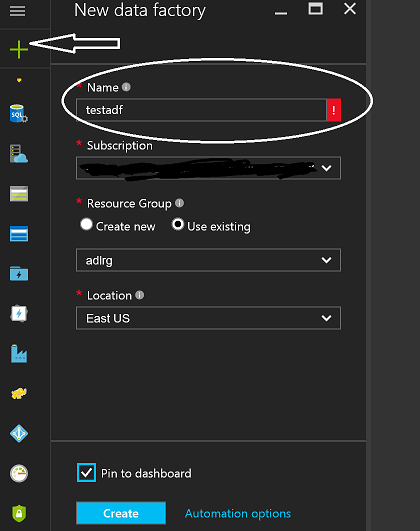 Linked Services : – Linked Services are used to link resources to the ADF e.g. if we need to process perfmon file, we first need to create linked services for the storage where it will pick the file from. Another Linked service for the compute which will process the file and so on. 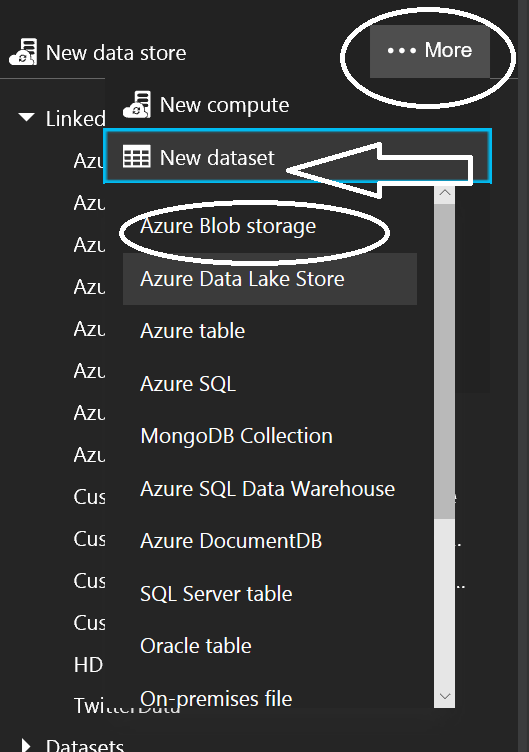 In this example, I want to process the file using ADLA – USQL Queries so, I will choose Azure Data Lake Analytics. 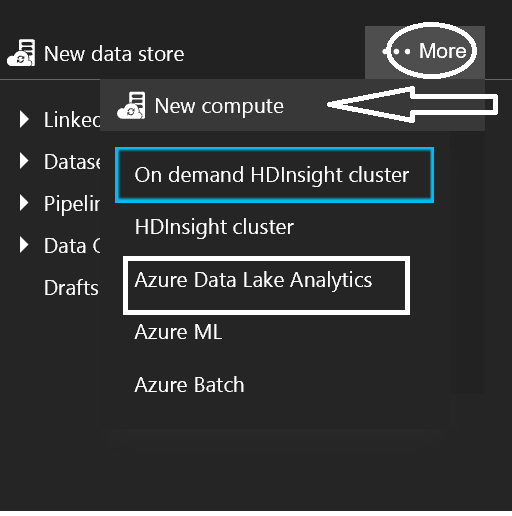 However, if I had to process the file using hive or pig queries – I would have chosen HDInsight or On demand HDInsight cluster. 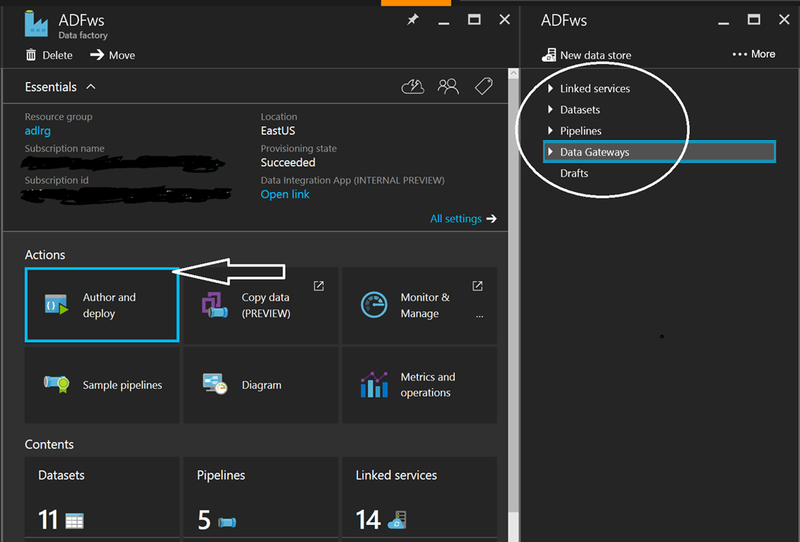 Data Sets – It’s the same concept like Reporting Service reports/SSIS package. 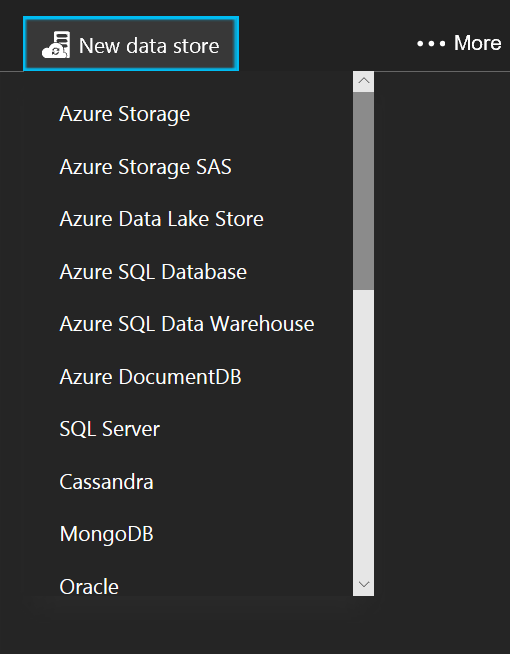 We first choose the data source which may anything like SQL Server Database or MS Access DB. Similarly,here once the source and destination is selected, we need to choose the data set which can be file/folder or table/collection. In this Data Set you will mention the actual file name or folder you want to pick. 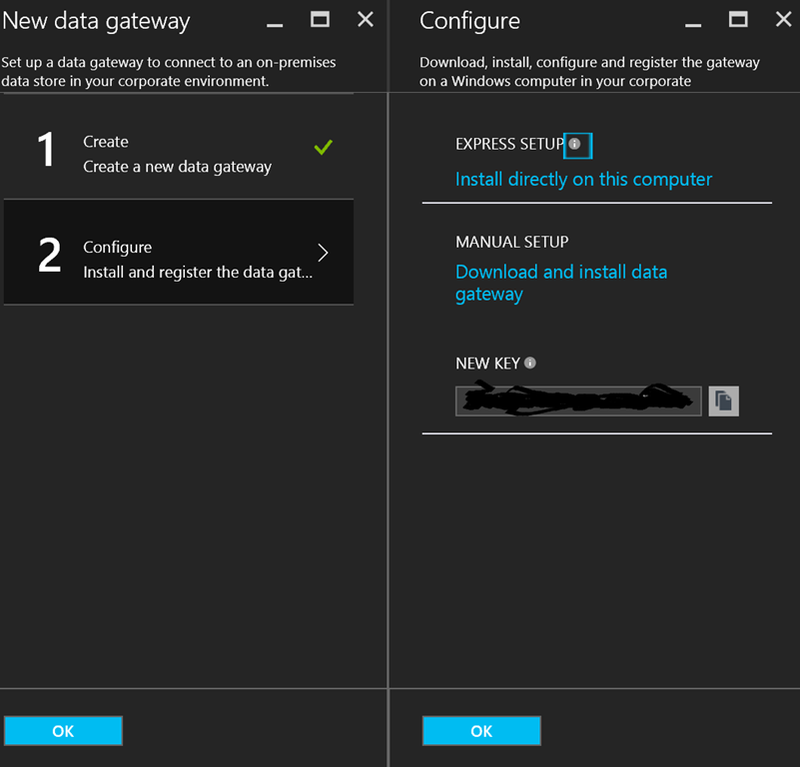 Data Gateway – If you want to move data to and fro on-premise to Azure, then you use Data gateway.